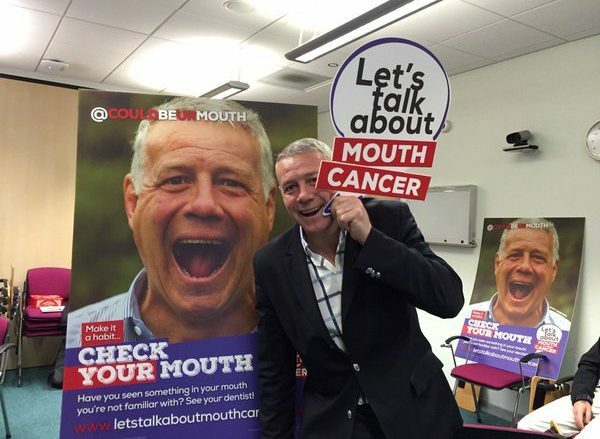 The work of let’s talk about mouth cancer has been lucky to have the support of the former Scotland and British Lions’ rugby legend Scott Hastings. Through a chance professional meeting with Victor Lopes, Scott committed to working to help raise the profile of the charity. Using his experience as an events consultant Scott has helped to increase the public and media profile of our public-facing events. Scott has attended a number of events and is a great public draw and never fails to please. Scott has also made a meaningful contribution to our work by helping to determine our strategy for public engagement and inform our digital presence. His leadership skills are a source of inspiration to the whole team!